This is the story of an accomplished academic, scientist, innovator and entrepreneur. 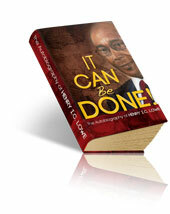 Turn the pages and share in the journey of a man who implemented his own exciting strategic plan for success and achieved even against all odds. While you re at it, try to create your own roadmap to success and greatness! The theme is about hard work, commitment and achievement even when it seemed impossible.